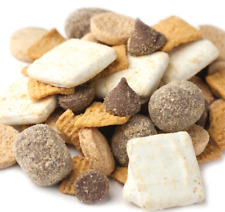 S'mores Trail Mix - 3 Lb Bag - Free Expedited Shipping! Tasty mix of peanuts, raisins, M & M's milk chocolate candies, almonds and cashews. About 34 Servings. Trending at C $17.64eBay determines this price through a machine-learned model of the product's sale prices within the last 90 days. The Indian cooks use loads of seasoning in different types of shapes and colors. We want you to be 100% satisfied with our products and our service. If there's a problem, just let us know and we fix it. The Indian cooks use loads of seasoning in different types of shapes and colors. Spices are known as one of the most remarkable ingredients of the Indian cuisine. We want you to be 100% satisfied with our products and our service. The Indian cooks use loads of seasoning in different types of shapes and colors. We want you to be 100% satisfied with our products and our service. We will never know your credit card information. The Indian cooks use loads of seasoning in different types of shapes and colors. If there's a problem, just let us know and we fix it. Spices are known as one of the most remarkable ingredients of the Indian cuisine. The Indian cooks use loads of seasoning in different types of shapes and colors. Spices are known as one of the most remarkable ingredients of the Indian cuisine. We will never know your credit card information. The Indian cooks use loads of seasoning in different types of shapes and colors. We want you to be 100% satisfied with our products and our service. Spices are known as one of the most remarkable ingredients of the Indian cuisine. 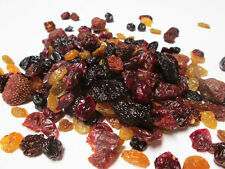 Carolina Reaper/ Scorpion Pepper/ Ghost Pepper/ Habanero Trail Mix INSANELY HOT! 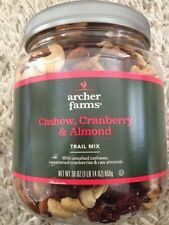 While, Nature's Garden Cranberry Health Mix is a mixture of Cranberries (sweetened), Walnuts, Black Raisins, Golden Raisins, Raw Almonds, Pepitas (Pumpkin Seeds), Unsalted Peanuts, and Raw Sunflower Seeds. NET WT 4.0 lb. You are Buying 1 bag. Trending at C $26.32eBay determines this price through a machine-learned model of the product's sale prices within the last 90 days. Cappuccino Snack Mix - 1 Lb Package - Free Expedited Shipping! Cappuccino Snack Mix - 5 Lb Bag - Free Expedited Shipping! Contains Almond, Filbert, Milk, Peanut, Soy, Wheat. 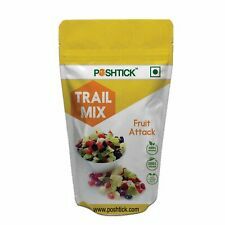 Germack Pistachio Company of Detroit, Michigan has created this delicious snack mix. Mini chocolate caramel turtles are blended with dried cherries, pecans, almonds, peanuts, and peanut butter drops. Please note the label is a holiday seasonal one with candy canes and ribbons but the sealed product is best by 03/10/20. You’ll receive two shatterproof jars, one to keep and one to share. 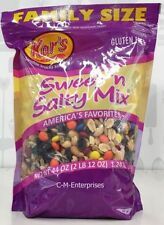 Each is 8oz of trail mix with a resealable lid. Ships quickly in one business day of purchase. 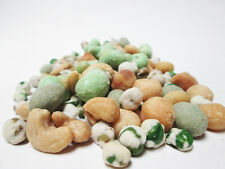 Manufactured on equipment that also processes peanuts, tree nuts, soy, milk, and wheat products. May contain stems, shell, pit and/or seed fragments. PRICE IS FOR 2 BAGS. net wt 4.0 oz. 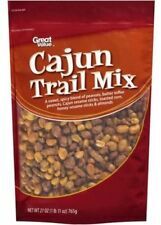 WildRoots Coastal Berry Blend Trail Mix, 26 oz. For those who have stress conditions, we have combined a Relaxing Starter Set especially for you. Organic Marjoram has a sweet and citrus aroma that relieves headaches, improves insomnia, and relaxes nerves. 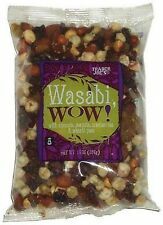 Low in Sodium and Glutenl Free. 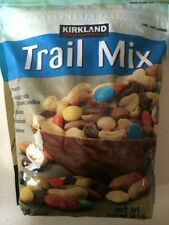 A must for trailblazers everywhere, this big bag of our Mountain trail mix is stuffed with peanuts, milk chocolate and roasted nuts. Mix of peanuts, raisins, cashews, almonds and milk chocolate candy. 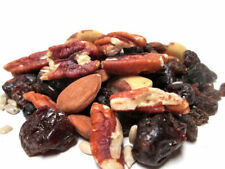 A nut lover's blend of dark chocolate chunks, almonds, cashews and pecans. Low in Sodium and Cholesterol Free.